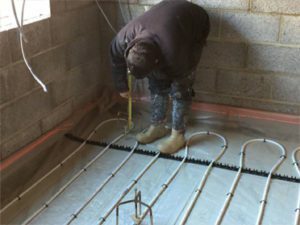 Screedmaster is able to offer installation of all pipework prior to the screed installation. We will install up to the point of the manifold where it will be left under a pressure test. The installation of the screed will then be the following day if suitable. At screedmaster sw we can offer a complete floor preparation, underfloor heating system and flow screed package. Flowing screeds are an ideal application over both electrical and water underfloor heating systems because the screed will completely encompass the heating pipes. 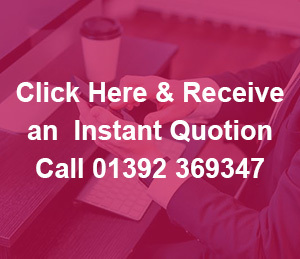 More cost effective to run than radiators because of low energy consumption due to low water temperatures with savings of between 20-40% off your heating bills. Latest technologies will provide reduced energy consumption and still heat your property even at sub-zero temperatures. Instantly warm underfoot meaning liquid floor screed provides the best conductivity between your final floor finish and underfoot, giving you an even room temperature. No unsightly radiators means there is more wall space for your furniture. A healthier environment as underfloor heating systems are better for asthma sufferers due to reduced dust over other forms of heating.